Kidlink Association is a non-profit organization registered in 2009 in Göteborg, Sweden. Our services are free. Our goal is to help kids and youth learn about themselves, find friends in other countries and collaborate with them. We do not collect home addresses, telephone numbers, race data, family income, social security numbers, as such information is not needed to reach our goal. Children and adults are required to register with their true names. 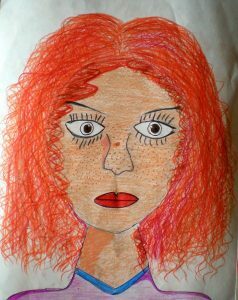 For security reasons, we require adults to share personal portrait photo and information about their work with children. that have requested to remove account by sending information to our contact page. that are adults and have removed themselves from our email list (listserv). We protect our young participants from any covert collection of personal information by outsiders. Our Listserv mailing list software distributes messages to members based on lists of participants’ email addresses. These lists (and e-mail addresses) are only available to our administrators who use it to correct problems and complaints. They are never shared with users, or outside organizations. Users can sign off from our mailing lists anytime. As soon as they have signed off, their email address will disappear from our mailing list system. Users who signed off, will however also have all their Kidlink accounts removed, as written above. Any information posted to our web or sent to our mailing lists becomes public information. Children are asked to exercise caution when deciding to disclose personal information. For any question about privacy issues contact us.